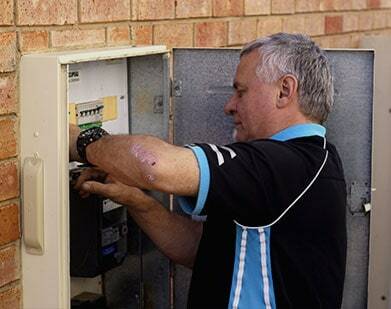 Carnegie Electrical Services can carry out a wide range of Domestic electrical services. Carnegie Electrical Services also provide an afterhours emergency service. Customer service is very important to us. If you need electrical services for your shop or office, Carnegie Electrical Services. Are you in need of personalised and professional electrical services? Have you been looking for a team that values quality over price? Since 1983 the skilled and fully-qualified team of electrical contractors have helped countless residents across Melbourne take advantage of our flawless and seamless experience. With our high-quality solutions and our convenient location in Melbourne our electricians are the go to team for Armadale locals to rely on. At Carnegie Electrical Services we understand the importance of delivering a safe and reliable level of service. 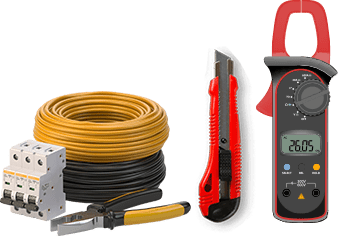 To ensure that our installations and repairs function safely and without fault we are all registered members of Master Electricians Australia. Covering everything from guidance and advice to the rewiring and data cabling installation our team can complete all of our works at the highest level of quality possible and with minimal interruption to your daily routine. Whether you are in need of either domestic or commercial electrical work you can trust our electrical contractors and tradesmen to keep you connected and safe. To speak to our team about our services or for a free, no-obligation, quote call us today on 03 9530 9099. To allow us to respond to your enquiry promptly, please provide all required information or use email address link below. After more than 20 years the work done by Chris and his team is still outstanding. Turned up when they said they would- got the job done quickly at the right price. Chris from Carnegie Electrical Services did the wiring for my kitchen and was a real pleasure to deal with. Great service, great work and no fuss. Would definitely use them again. Electrician arrived on the same day I called very prompt service. I had a very dangerous situation which was handled with absolute professionalism and a great service outcome. Highly recommended, I used these reviews in my decision to call Carnegie Ekecteical Services. Highly recommend. Excellent customer service, Josh was super knowledgeable and Chris was great to deal with. Will be using them again. © Copyright 2019, Carnegie Electrical Services. All Rights Reserved.